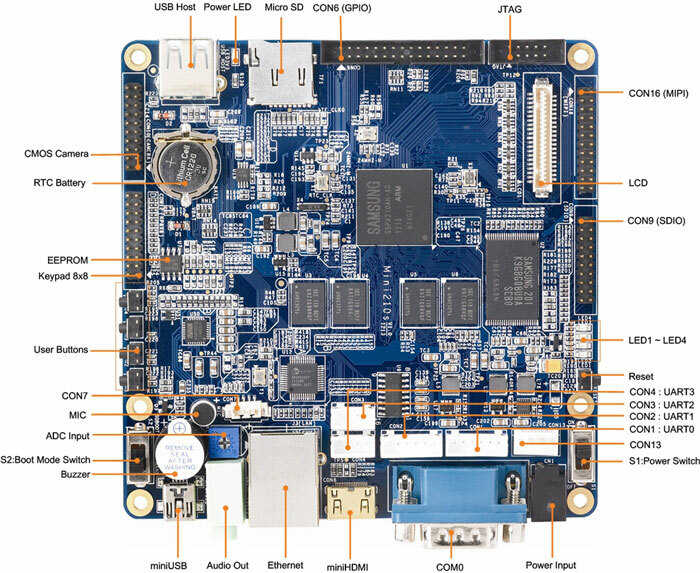 The Mini210S Single Board Computer is a high-performance controller board with the Samsung S5PV210 ARM Cortex-A8 microcontroller that has 512MByte DDR2 RAM, 1GByte Nand Flash, RTC, Audio and Ethernet. The board has integrated RS232, USB Host, USB Device, Ethernet, Audio Out, Microphone, Keyboard, LCD, HDMI, camera in, SD card and other functions built in. With so many hardware resources provided, it serves as a solid reference board for your design. A complete software development package is included. The board comes with Linux 2.6.35, WinCE 6.0 and Android 2.3 as well as an Android 4.0 test demo, and it is provided with complete basic drivers which enable a quick means to evaluate the Samsung S5PV210 processor and customize application software. This would be an ideal development platform for multimedia and communication applications. 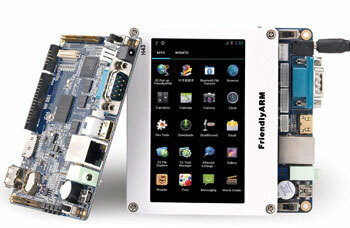 The board ships with Linux 2.6.28 BSP, WinCE BSP, and Android 2.3 source code, as well as an Android 4.0 test demo. Of course, you can submit your mail with the follow Form, then we will contact you in 12 Hours. CoreWind also offers customer design service based on the Mini210-S5PV210 board according to customer’s requirement. Whether you need to reduce, add or modify to existing hardware, CoreWind will help customers with expert competence and rich experience.